Introducing your children to the great outdoors need not wait until that wonderful camping trip that you have being planning for years. If you want the best for your children, then do not overlook the benefits of walking to school or even walking from school. It doesn’t require the same level of planning as a camping trip but it is still worth taking the time to plan. Every landscape, even an urban one, can offer, opportunities for learning and adventure. Even something as simple as the rythnm of raindrops on a raincoat or the patterns of frozen misty spider’s webs can instill a sense of wonder. If you plan to walk to or from school, take time to be able to notice these things for yourself. 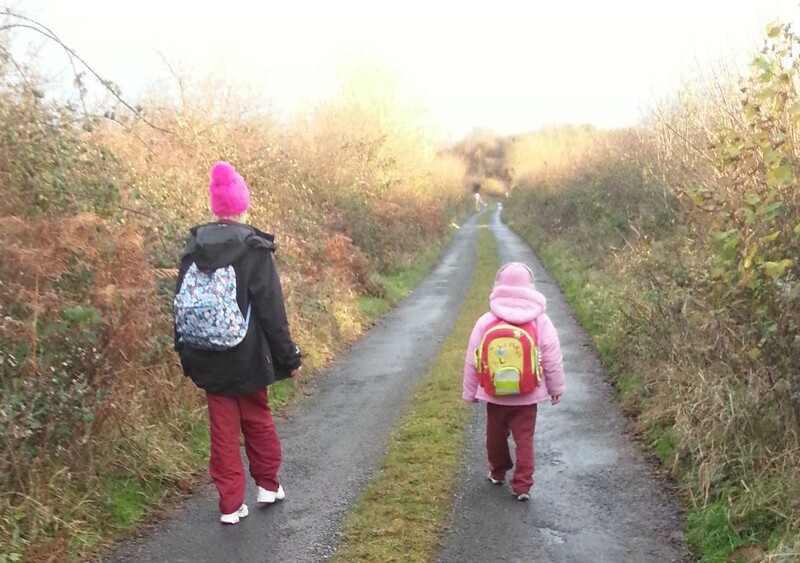 The walk to school – could more time to play mean better outcomes for all? In Switzerland it is common for school policies to explicitly prevent parents driving to school, and to encourage the children to do the journey without adult supervision. So my friend’s sons, aged 10 and eight, who live in a small town outside Zurich, very happily walk the half a mile or so daily on narrow steep roads, gathering friends along the way and stopping to play before they go into school. They love it. they arrive in class ready to learn.